Ooh we just love it; it’s the new wall decal from Cocoon Couture and The Wall Sticker Company! We’re huge fans of Cocoon Couture here at Babyology and the Enchanted Tree decal has had us, well, enchanted for a while now. Here’s one for the boys (and girls of course) with oomph, pizazz and a fabulous jungle atmosphere to suit his (or her) adventurous instincts! 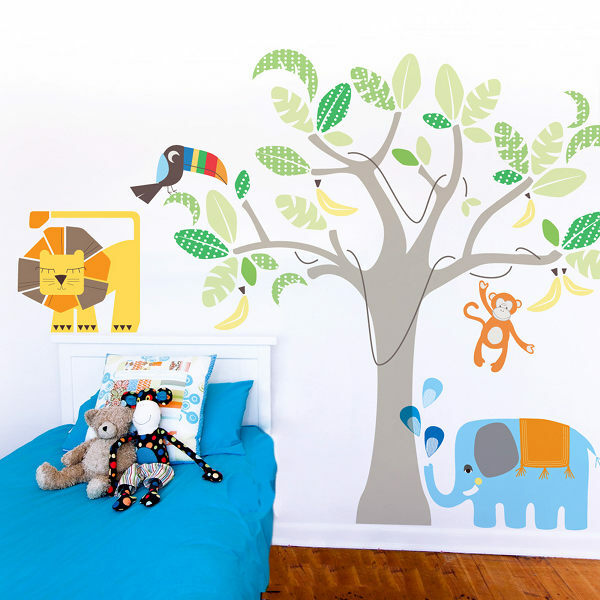 It’s the new Jungle Land wall decal and it’s a similar size and design to the Enchanted Tree, but a little more focused on boy decor. The pack contains sixty-six pieces which can be assembled bit by bit or all at once. Get it now from The Wall Sticker Company for $275 plus post.